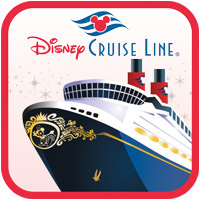 Disney Cruise Line offers the very best in family cruising. There are wonderful activities and entertainment for the whole family to enjoy together as well as fantastic programs specific to each age group, from little ones to adults. Disney cruises can be as short as just three nights with a full range of longer cruises in amazing destinations across the globe. Click the button on the right to see all that a Disney Cruise has to offer, then talk to one of our cruise experts to see how we can make this a smooth and memorable vacation experience from start to finish. We want to help you have the most wonderful, most memorable Disney Cruise vacation. We know that giving you good, up-to-date information and a few simple tools will make a huge difference in your vacation so that you will have great memories of shared experiences instead of missed opportunities. That's why we're called Build A Better Mouse Trip. Help with Excursions & On-board Options – Disney offers so many great choices that it can be really hard to narrow down the best stateroom, excursions and on-board options for your family and for your budget but we're here to take the stress out and make planning your cruise much easier. Our "Quote Request" form is the easiest way to start planning your trip. Just fill in as much or as little information as you know and one of our agents will be in touch soon. There is never any pressure or obligation. Every person who books a Disney Cruise through us will receive The Unofficial Guide to Disney Cruise Line as our gift to help you get the most from your cruise vacation.